A new Russian public movement in support of the military and the defense industry has set its primary objective the creation of a new man resistant to information aggression. 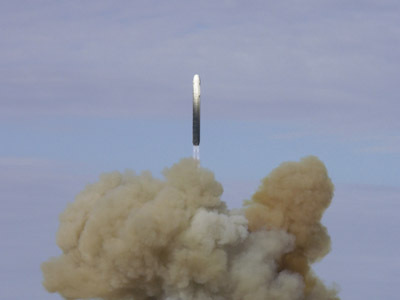 ­The initiative comes from Deputy Prime Minister Dmitry Rogozin. 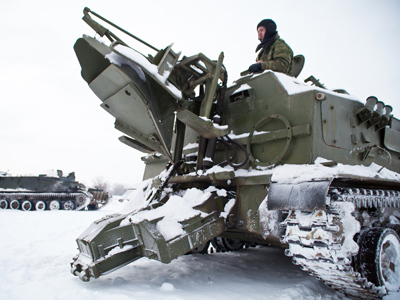 The founding convention of the movement gathered over 3,700 participants – delegates from defense enterprises, military youth clubs, Cossack communities and other public organizations. The convention received the personal support of Prime Minister Vladimir Putin, who sent a message of greetings to its participants. The head of the Russian Orthodox Church, Patriarch Kirill, spoke at the opening. The patriarch called upon the assembly to start creating the new man, capable of resisting the information aggression that is being launched from abroad, primarily through the internet. The top cleric went on to predict that the people who succumb to temptations of the modern age could later come to power and this would lead to the loss of Russia’s sovereignty. “This is why the thoughts about the strengthening of the nation’s defense must be accompanied by the thoughts about spiritual development of those who would possibly defend their Motherland from enemies in future,” he noted. Dmitry Rogozin also spoke of the importance of defense from enemies, basing his speech on a recent article by Prime Minister Vladimir Putin, dedicated to the same subject. 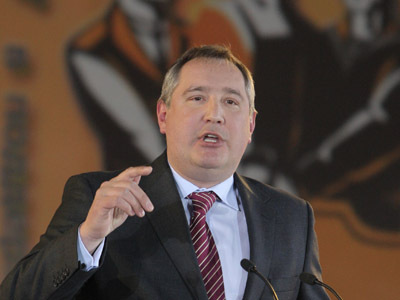 Rogozin advocated the “iron fist in a velvet glove” policy and stressed that the velvet glove must be removed quickly if such need arises. Rogozin called upon the convention to strengthen the brute physical force of the army and navy, to develop new ways of fighting and warned the listeners against underestimating the enemy, though without naming who that enemy might be. 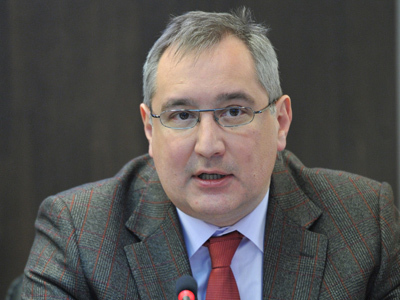 The only particular opponents mentioned by Rogozin were the representatives of Russian non-system opposition, who distinguish themselves with white ribbons – the sign that the wearer demands fair elections and political reforms. Rogozin called the white ribbons “capitulation flags,” and stressed that the majority of the Russian population supported Vladimir Putin’s course. In the end, Rogozin recalled a statement made by Russian Tsar Alexander III, who had said that Russia had only two allies – its army and its navy. 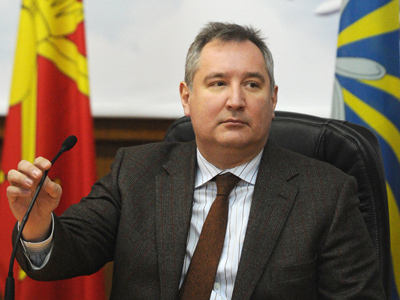 In recent times, the number of allies has grown, and now the army, navy, defense industry and Vladimir Putin can be listed as such, Rogozin told the convention.